Rosalind was a British chemist, who played a crucial role in the discovery of the nature of DNA. Although Nobel Prizes cannot be awarded posthumously, the Nobel Committee recognised the work she had been involved in 1962 and 1982. Franklin was born to a well-connected Jewish family in London, England, in 1920. Her great uncle was Herbert Samuel was the first practising Jewish member of the British cabinet, serving as Home Secretary in 1916. Rosalind was a precious child, but with delicate health. From an early age, she displayed a keen mind and interest in mathematics and science. 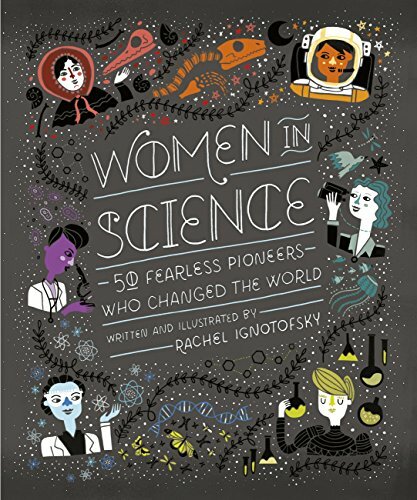 At the time, it was rare for women to pursue a career in science, there both visible and invisible barriers to women progressing in science. Educational opportunity were also very limited. Despite misgivings over his child’s path, her father sent her to St Paul’s Girls school – one of the very few schools which taught science to girls. She passed her final exams with distinction and in 1938, went to Newnham College, Cambridge, where she studied chemistry as part of the Natural Sciences Tripos. After three years, she graduated though it wasn’t until 1947, that Cambridge formally backdated women’s degrees to the award of B.A. After finishing her degree, Franklin worked for one year as a research fellowship under Ronald Norrish of Cambridge University. However, finding Norrish overbearing and difficult to work with, she left and found employment with the British Coal Research Association near Kingston Upon Thames. Her work involved investigating the permeability of coal. This work formed the backbone of her PhD thesis on the physical chemistry of organic colloids. During the war, she also served for a period as an Air Raid Warden. After the war, Franklin travelled to Paris to work under Marcel Mathieu and with Jacques Mering at the Laboratoire Central des Services Chimiques de l’État in Paris. This was a useful position, and she learnt X-Ray diffraction techniques, which would prove important for her later work on DNA. At the time, several top chemists were also working on DNA structure. Maurice Wilkins, Francis Crick and James Watson worked more or less independently of Franklin. Despite working in the same department and the same subject, there was a painful personality conflict between Franklin and Wilkins, there was misunderstanding on both sides. In a 1953 edition of Nature, Watson and Crick published a paper on the structure of DNA; this work had been informed by Franklin/Gosling’s Photo 51. In the same edition, Franklin and Wilkins published their data on DNA. Franklin was more cautious about publishing a proposed theory of DNA structure, she wished tothe see more experimental evidence. However, Watson and Crick were more confident that they had enough to publish theories of DNA. 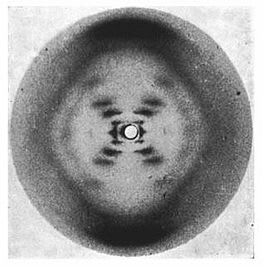 Crick proclaimed in Feb 1953. that they had “found the secret of life.” Franklin’s work, data and photos were very important in Watson and Crick’s DNA theory. In 1953, Franklin left King’s College for Birbeck College (also in London) At Birbeck, she found the facilities primitive compared to King’s, but she found a greater freedom. Franklin also began a fruitful partnership with Aaron Klug, who was later named as the principal beneficiary in her will. At King’s she worked on Tobacco Mosaic Virus and published works on the structure of its particles. She also worked on other virus such as polio. However, increasing ill health caused her to retire from work. Franklin died from breast cancer in 1958. Franklin remained single throughout her life. She enjoyed travelling abroad – especially in France, a country she loved. She was agnostic, but followed certain Jewish traditions – partly out of respect to the wishes of her family. She often wrote to her father, explaining her greater interest in science than religion. “Science, for me, gives a partial explanation for life. In so far as it goes, it is based on fact, experience and experiment. During the 1930s, her family took in Jewish refugees, who arrived on the ‘Kindertransport’ – one girl Evi Ellis shared Franklin’s room for a few years. In 1962, Francis Crick, James Watson, and Maurice Wilkins were awarded the Nobel Prize in Chemistry. James Watson said that ideally Franklin would have been awarded the Nobel Prize in Chemistry, but Nobel rules did not allow awards to be made posthumously. In 1982, Aaron Klug, a colleague of Franklin, was the winner of Nobel Prize in Chemistry for “for his development of crystallographic electron microscopy and his structural elucidation of biologically important nucleic acid-protein complexes.” This is work Franklin had started with Klug back in King’s. Citation: Pettinger, Tejvan. 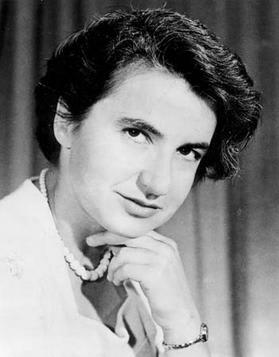 “Biography of Rosalind Franklin”, Oxford, www.biographyonline.net. Published 5th August 2018. Last updated 5th August 2018. Famous Jewish people – Famous Jewish people, including prophets, philosophers, musicians and writers. Includes Moses, Prophet Abraham, Baruch Spinoza, Karl Marx and Yehudi Menuhin.